Akame ga Kill is currently four episodes in and so far it’s proving itself relatively well. It’s a moderately dark Shonen series focused on a group of assassins who are out to rid the world of evil. Our main character, Tatsumi, ends up mixed up with the group who call themselves the ‘Night Raid’ and must throw his morals away and fight to rid the capital of the corrupt government. Sure, it sounds pretty generic for the most part but the series actually does manage to stand out. It finds itself with a fun cast of characters and what I presume must be a very nice animation budget to back all the fight scenes. If there is one thing the series does right, it’s fight scenes. As mentioned above the series can be quite dark and isn’t afraid to show some gore when needed and thus fight scenes can be quite graphic. The series also throws a few stills into the mix during some of the more impressive moments which work extremely well for the most part and offer something a bit different. So far Akame ga Kill isn’t something I’d consider that special, but it’s a good Shonen series. The original source is still on-going, so perhaps the anime will end pretty openly but at the same the series does have 24 episodes to play with. 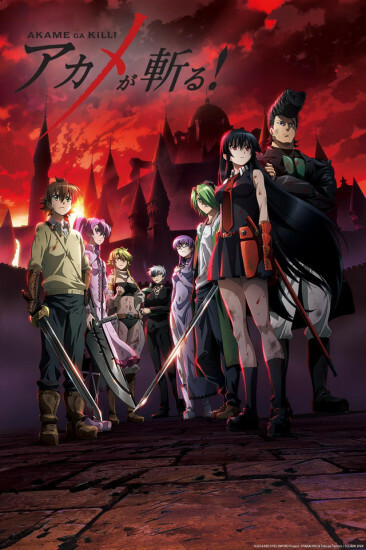 Akame ga Kill is currently being streamed in the US by Crunchyroll and can be found right here. When looking back at their time in middle school the animation takes a different turn to usual with the animation becoming much more of a watercolor style than the normal standard. You can see an example of this below, although it does look a lot better in motion than it does in still shots. 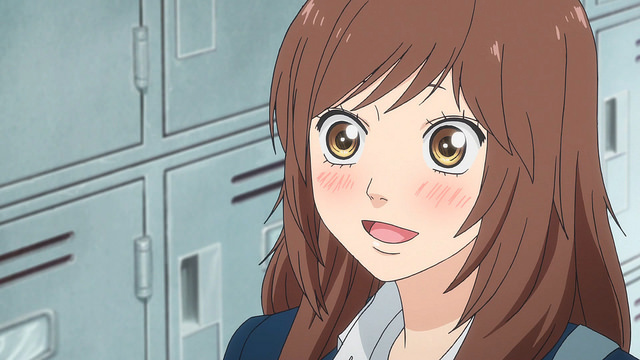 It may not leave a lasting impression when all is said and done but so far the series has strong animation and a really solid soundtrack, so I’ll happily be riding this one out and highly recommend it to Shojo fans. Even if it doesn’t offer anything different for the genre it’s still a solid entry. 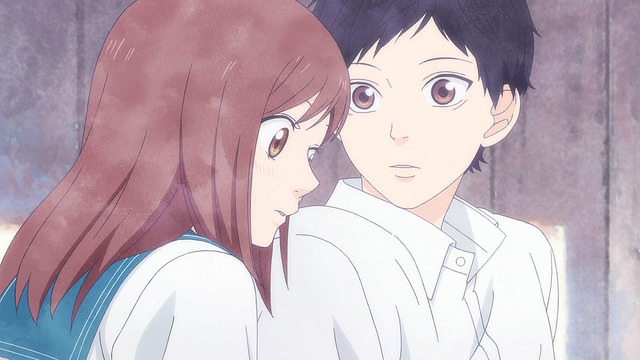 Blue Spring Ride is currently being streamed in the US by Crunchyroll and can be found right here. Glasslip is the latest offering from P.A Works but sadly unlike their last original work, Nagi no Asukara, this series isn’t that solid sadly. We’re viewing the last summer a group of six friends spend together and get to see the heartache they all go through. One character also has the ability to see into the future, why she has this ability is currently unknown. I’ll be blunt. Four episodes in the series hasn’t explained enough to keep me interested, the characters are bland and the story doesn’t make any sense. 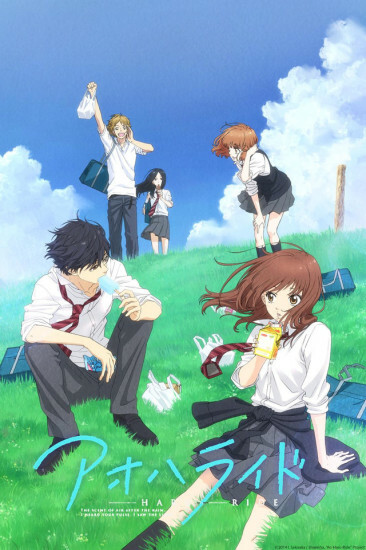 Honestly the only thing Glasslip currently has going for it is the P.A Works name, some pretty animation, and a some pretty animation as we’ve come to expect of the studio. At only 13 episodes I’ll follow it through, but I don’t expect anything great of it. 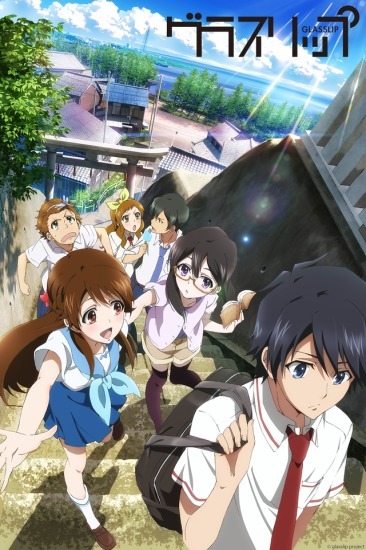 Glasslip is currently being streamed to the UK and US by Crunchyroll and can be found right here. When the third season of Black Butler was announced I was undoubtedly really, really happy. I was even happier when it was revealed that the anime would be adapting a certain arc of the manga rather than going down an original route like season two did. A-1 Pictures have once again taken to the rains to adapt the series and so far have done another solid job. The first episode was a little slow and did its best to explain some of the core aspects of Black Butler for newcomers to the show, but once we get a couple more episodes in the fun has really begun. It’s hard to judge this series against the newer shows in the season, but for Black Butler fans I’m happy to say so far season three is turning out to be everything I hoped it would be. A-1 Pictures are doing a brilliant job adapting from the source. 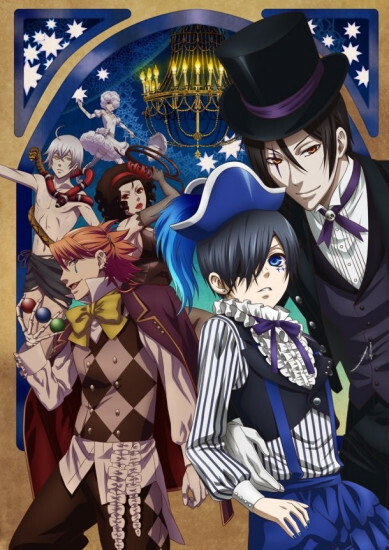 Black Butler season three is being streamed by Crunchyroll in the US and UK and can be found here. One of the biggest shows this season was always without a doubt going to be Sword Art Online season 2. This season is played out across 24 episodes and is adapting the Gun Gale Online novels, which aren’t a favourite of mine but are well loved among most Sword Art Online fans. Four episodes in I can’t say I’m impressed. The series has wasted a lot of time needlessly explaining certain topics and exploring aspects we really didn’t need to see. It took three whole episodes just to see Kirito finally get into the GGO game. This is going to be a slow ride and perhaps not an enjoyable one, at least not in terms of the story. With the anime having already pretty much outed who the big bad enemy is in the series, it’s not as strong a season as I’d hoped it’d be. The only savour is the animation quality and the amazing soundtrack that the series is currently offering. I adored the soundtrack for the original Sword Art Online and at this point I already know that I have to own the soundtrack for season 2. It’s amazing. 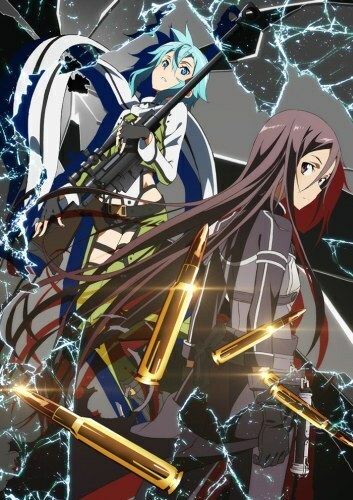 Sword Art Online season 2 is currently being streamed to the US and UK by Crunchyroll and can be found right here. Tokyo Ghouls is horror series, but it’s a smart one. it’s still the type of series that does a lot for shock value and thus isn’t the type of series that has a lot of rematch value. However, watching it on a week to week basis is working really well and I find myself counting down the days to the next episode. It might not be the best show this season, but it’s a strong contender. 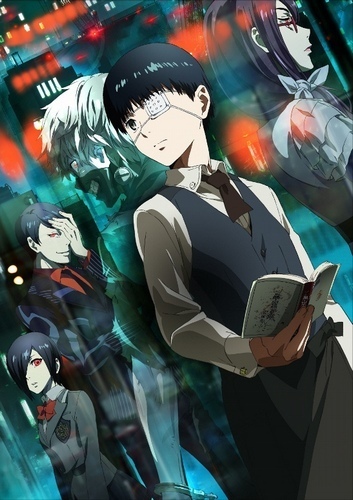 Tokyo Ghouls is currently being streamed to the UK by Wakanim and can be found right here. The last series I’m writing about is undoubtedly my favourite of the lot and is steadily climbing towards being one of the best shows this year. Terror in Resonance is like a new-age Death Note. It has you sitting right on the edge of your seat eagerly awaiting whatever this crazy series is going to throw at you next. However the series doesn’t do everything it’s doing for cheap thrills. Yes it has us on the edge at all times, yes it has us always wanting more, but at the same time it’s an incredibly intelligent show and shows no signs of letting up anytime soon. To know more of what I think about Terror in Resonance you can read my review of the first two episodes right here. 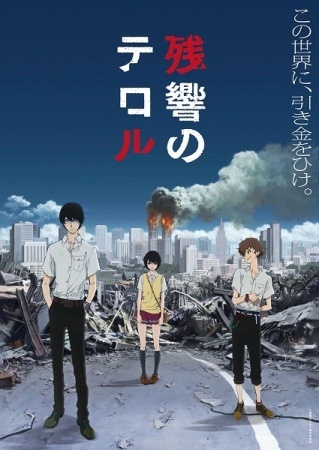 Terror in Resonance is being streamed to the UK by Wakanim and can be found right here.